Les Miserables is a massive novel, by Victor Hugo, perennially considered one of the world's best books. Written in French, the English translation used for this reading is online courtesy the Gutenberg Project. The book was originally published in 1862. We begin the audio narrative as Jean Valjean - a convict known to prison officials as inmate 24,601 - begins his parole after 19 years of incarceration. He is en route to Pontarlier, a town in east-central France (near the French/Swiss border), because that is where prison officials have decided he must go. To reach his destination, Valjean has to travel approximately 585 kilometers (363.5 miles). 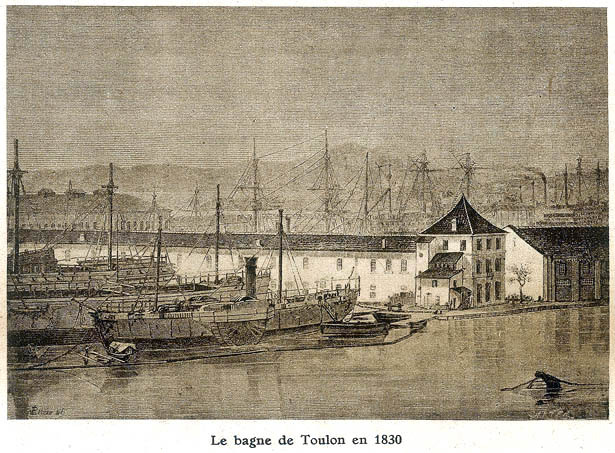 Valjean has no choice but to travel with a special, yellow passport which tells anyone who looks at his papers that he was a "Bagnard" (a prisoner at the Bagne of Toulon). His papers say that he is a dangerous man. His initial crime, committed in 1795, was stealing a loaf of bread for his sister's seven children. His subsequent crimes - for which he was given much more time to serve on the galleys at Toulon - was attempting to escape. Valjean cannot find lodging anywhere. He has been walking four days, since his release from the prison in the Mediterranean port town, but no one will give him shelter. After walking north about 200 kilometers (or 125 miles), Valjean reaches Digne. Still being rejected because of his past, a local woman (in Digne) gives him good advice. She says there is one home, in the small mountain town, where people would provide the weary traveler with both food and lodging. 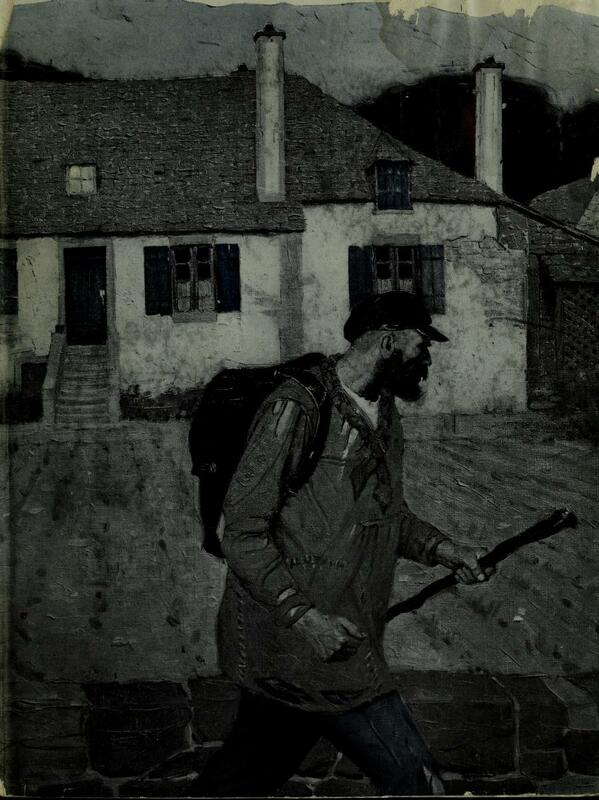 Believing the recommended house is an inn, Valjean walks through the door. 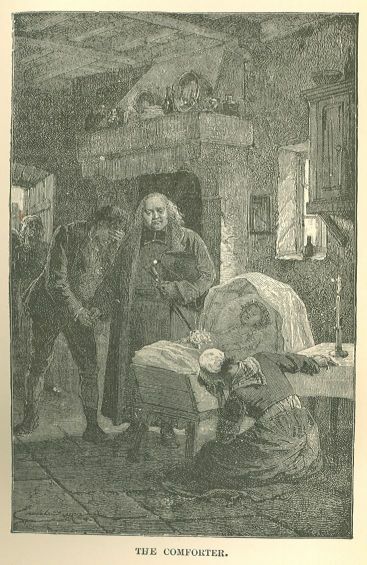 Little does he realize that he has entered the home of a bishop named Myriel (as depicted in the 1887 English-language edition of Les Mis published, in New York, by T.Y. Crowell & Co.). The bishop, an elderly gentleman of about 75 years, is kind to the ex-convict. Stunned that anyone would treat him well, Jean Valjean begins to reveal some of his background to Monseigneur Myriel. The housekeeper—Madame Magloire—remains sceptical of this stranger, but the Bishop welcomes the ex-convict with open arms and calls him "brother." In this audio clip, Carole Bos (creator of Awesome Stories) reads a chapter from Volume I - Book Second - Chapter III. As you listen, consider these topics. Les Miserables, Volume I, Book Second, Chapter III - "The Heroism of Passive Obedience"
As you listen to this audio clip, you can follow along by reading the story online. See the translation by Isabella Hapgood (at Project Gutenberg), which is opened to "The Heroism of Passive Obedience." Les Miserables, Volume I, Book Second, Chapter III - "The Heroism of Passive Obedience" - by Victor Hugo. Read by Carole Bos, creator of Awesome Stories. Bos, Carole "Les Miserables - Bishop Myriel Helps Valjean - Audio Reading" AwesomeStories.com. Oct 07, 2013. Apr 23, 2019.